My interest in succulent plants was created when I was a child and my mother grew a small range on a windowsill in our house in Plymouth. I went to university in London in the 1960s and had a few succulent plants which had been bought from a florist shop in the Brompton Road on my windowsill to brighten up my lodgings. 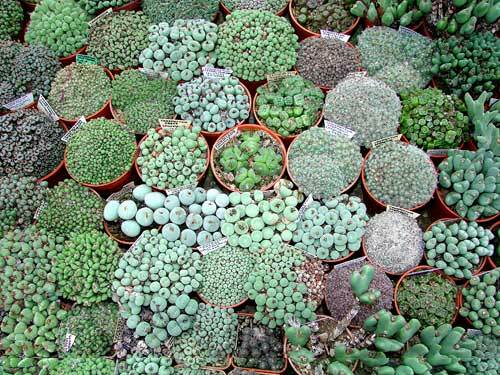 The obsession took off from that small beginning and I joined the National Cactus and Succulent Society in 1964. My father had a small greenhouse and I started putting plants in that, ousting his pelargoniums and fuchsias. He had to look after the plants during term time and I could care for them during vacations. In 1972 I married Jennifer and we bought the house that we still live in. 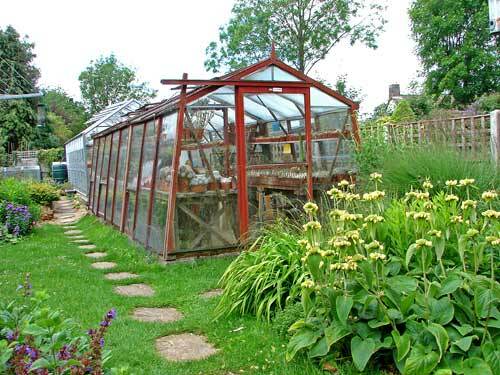 An Alton cedar greenhouse (still here but decomposing alarmingly) was erected in the garden and succulent plants were brought from my father's greenhouse. Dad had actually got quite fond of cacti by then and I had to leave half of the collection with him. 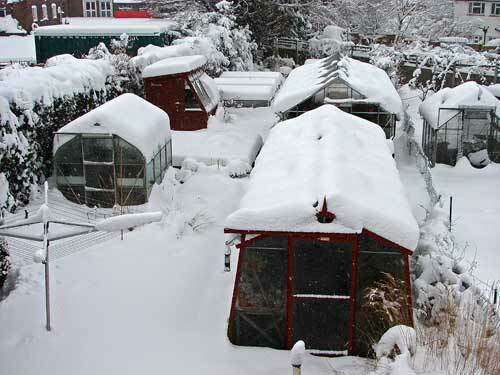 He expanded it to fill the greenhouse and it was a major interest for him until the end of his life. 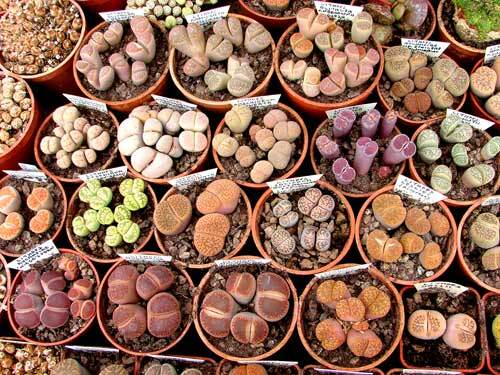 As with many succulent enthusiasts, my main interest at first was cacti with just a few other succulent plants including mesembs. Jennifer and I started to visit various countries to see plants in their wild state and over the years we have been to Greece, Turkey, Cyprus, Canary Islands, South Africa, USA and Mexico to study succulents and bulbs. The focus on conophytums started in the 1980s due to a combination of factors: seeing them in the wild in South Africa; seed becoming available from Mesa Garden and developing friendships with Suzanne Mace and Steven Hammer. Today I grow nearly all of the Conophytum taxa and for some of them have documented plants from many different localities. 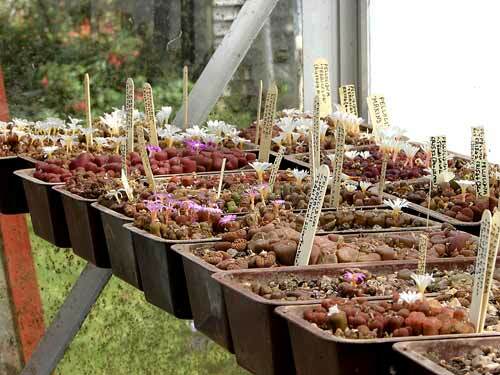 When I took retirement from organic chemistry research in the late 1990s, I erected an aluminium greenhouse which gave me space to grow more South African bulbs and to propagate the plant collection that I had amassed over the years. You will see from the pictures that I really do not have much greenhouse space available and normally only produce 30 - 60 plants of any item at a given time. That is why I cannot supply large quantities of anything and have to limit customers to just two plants of each item. I often get feed-back about good packing of plant orders and that is all due to Jennifer's efforts, who has been very supportive of my weird hobby. 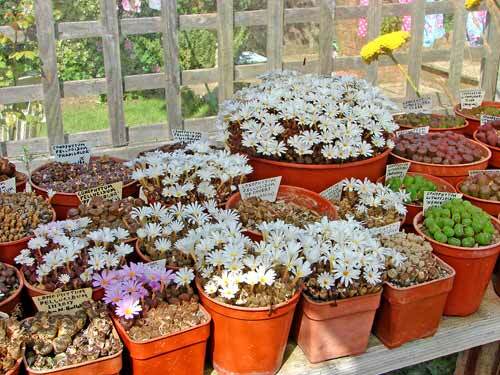 Most keen plant growers get involved with specialist societies and I am no exception. Over the years, I have helped to organise the North Surrey Branch of the British Cactus and Succulent Society and its activities. I was on the Finance and General Purpose Committee of the now-submerged Cactus and Succulent Society of Great Britain and organised its seed distribution for a number of years. A short period after that stopped, Jennifer and I started the seed distribution for the Mesemb Study Group that is still going strong after around 25 years. It has been great fun communicating with mesemb enthusiasts around the World in the course of doing this. 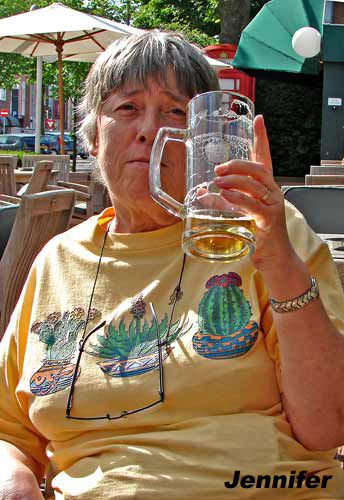 My research background has resulted in my membership of three research grant-awarding bodies for the Mesemb Study Group, the British Cactus and Succulent Society and the Hendry Fund of the Alpine Garden Society. 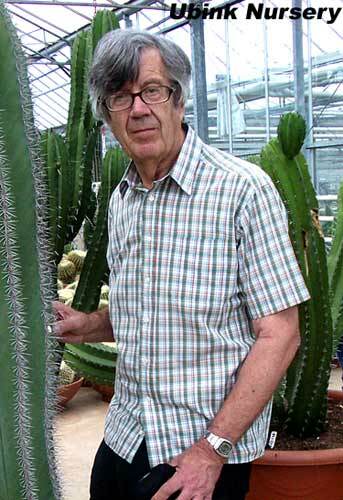 Since retirement, I have had time available to do voluntary work for the Royal Horticultural Society (RHS) and have tried to raise the profile of succulents as a member of the Tender Ornamental Plant Committee. I have organised symposia for the RHS, helped with selecting plants for the Award of Garden Merit via trials and personal knowledge and judged exhibits at the major RHS flower shows such as Chelsea and Hampton Court. I also maintain contacts with RHS horticulturists at Wisley to provide advice on succulent plants and African bulbs as required. Over the years, I have given many talks and also written articles on all sorts of succulent and bulb related topics for publications ranging from local newspapers to "The Garden", but mainly for specialist periodicals. The total of articles must now run to over 100 although I haven't kept a personal bibliography. The most important scientifically are the descriptions of new conophytums and I have been author or co-author for several taxa: Conophytum minusculum ssp. aestiflorens, C. pellucidum ssp. saueri, C. roodiae ssp. corrugatum and C. subterraneum. However, I hope that I have also enabled enthusiasts to grow their plants more successfully by communicating to them the techniques that I have found successful. Cultivation of winter-growing plants from the Western Cape of South Africa is counter-intuitive, particularly after first learning how to grow cacti.